Car insurance prices have risen by 40% in the past 12 months according to research by the AA, with the average driver now paying £791 per year. Young drivers have been particularly badly hit by these price rises, with an 18 year male with a 1.25 litre Ford Fiesta now facing an annual insurance premium of over £7,000. These insurance premiums are calculated based on statistics, with drivers who are considered to most likely to be involved in an accident or claim being the ones who pay the most. However, the insurance companies don’t hold all the cards because there are things you can do to lower your perceived risk. When you are choosing your car, the cost of insurance should be uppermost in your mind. Each car is assigned to an insurance group numbered between one and twenty, with vehicles classified in insurance group one being the cheapest to insure. As an example, the 18 year old male driver who received the £7,000 quote for insurance on the Ford Fiesta would be faced with a £12,000 insurance bill for insurance on a 2 litre Ford Cougar which is in a much higher insurance group. 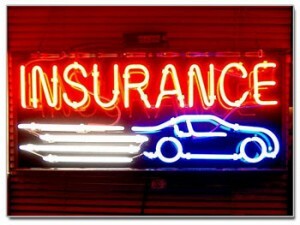 Apart from the driver, the choice of car is the factor that has the single biggest influence on insurance premiums. You should always avoid cars which have had performance enhancing modifications made to them which deviate from the cars original specification. The most common form of modification is the addition of alloy wheels or rear spoilers, both of which can have a devastating impact on insurance premiums with a number of companies simply refusing to insure a vehicle featuring this type of modification. The only modification which would be welcomed by insurers is security enhancements such as the addition of approved alarms or immobiliser systems. This will reduce the perceived likelihood of your car being stolen and will therefore result in an insurance discount. On the other hand if you own what is regarded as a “classic car” you get a big reduction in premiums. To qualify for classic car insurance a car will generally need to be older than 15 years and you will limited in the number of miles you can drive it each year (normally around 5,000 t0 7,500 depending on the policy). Don’t just accept the renewal price which is offered to you by insurers, as this is likely made with the knowledge that you will be unlikely to challenge it. Prove your insurer wrong by calling them up and telling them about better deals you have been offered by other insurers. Don’t go into these negotiations unarmed; you should firstly compare prices with as many different insurers as possible in order to make sure that you have the best deal available to you. The quickest and easiest way of doing this is by comparing prices on price comparison websites which will retrieve quotes from hundreds of different insurers in minutes. However, not all insurers will be featured on these websites and it is therefore also worth retrieving a few quotes of your own by utilising individual insurers websites. Always remember that insurers operate based on statistics because this is something which you can take advantage of. By parking your car in a locked garage or on a private driveway, you can reduce the price of your premiums due to the reduced statistical likelihood of your car being vandalised or stolen. Additionally, you should keep the annual mileage allocation which is stated on the policy to a minimum in order to ensure that you are not paying for miles you are not going to use. Obviously, the move miles your travel the more of a risk you will be seen by insurers and this will be reflected in the premiums you are offered. It should also be noted that the European Court of Justice (ECJ) recently ruled that from the 21st December 2012 it will be illegal for insurers to discriminate on the grounds of gender. This will see female car insurance prices gradually increased by as much as 50% in the run up to this date, but it doesn’t stop you taking advantage of the savings available before the ruling. Men can also benefit from this by arranging to be a named driver on a female policy, but don’t do this unless the female driver is actually going to be using the vehicle because other wise this would be an illegal activity called fronting. Buying your insurance online can shave as much as 5% off the total price of premiums due to the reduced admin costs which the insurance companies face through online transactions. Additionally, where possible you should pay for your insurance annually. If you choose to pay monthly, you will be charged interest on your fees which means you will actually be paying the insurer more in the long run. Traditionally you could reduce your annual insurance premium by offering to pay a higher excess in the event of a claim being made as this obviously reduces the insurers financial obligation. However, the savings available through this are now marginal because statistically people taking this route are more likely to make a claim. Another old truism is that third party cover is cheaper than fully comprehensive. This made sense because third party policies only cover damage to other people’s vehicles, while fully comprehensive will cover both your vehicle and others. However, insurers noticed that motorists who opted for third party cover were likely to be young drivers with old vehicles that were only worth a couple of hundred pounds. This made them statistically more likely to be involved in accidents, and it is now actually more expensive to get third party cover than fully comprehensive in the majority of cases. There is no substitute for experience, which is why young motorists face such outrageous pricing. However, you can go some way towards addressing this by gaining additional driving qualifications from courses such as pass plus. These are courses available to fully qualified drivers which educate them on elements of driving which are not covered by pre-test lessons, such as motorway driving. The amount you can save through such courses varies depending on the insurer, but it can be as much as 10% which would reduce that 18 year old male Fiesta driver’s premium by £700. This would make it well worth the initial expense. In the age of price comparison websites, it is easy to get sucked into the belief that the cheapest offer is always the best one. However, this is completely untrue and a number of insurers have now started omitting elements from their insurance package which used to come as standard. This includes vital components such as legal cover or a courtesy car package. You should therefore check all the details before agreeing to the insurance deal and it might be worth paying a little bit extra to ensure that you are fully covered.